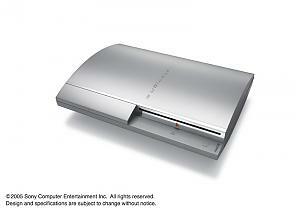 Sony PlayStation 3 Official Specs!!!! Press Release Source: Sony Computer Entertainment America Inc.
LOS ANGELES, May 16 /PRNewswire/ -- At a press conference held in Los Angeles, California, today, Sony Computer Entertainment Inc. (SCEI) revealed the outline of its PLAYSTATION®3 (PS3) computer entertainment system, incorporating the world's most advanced Cell processor with super computer like power. 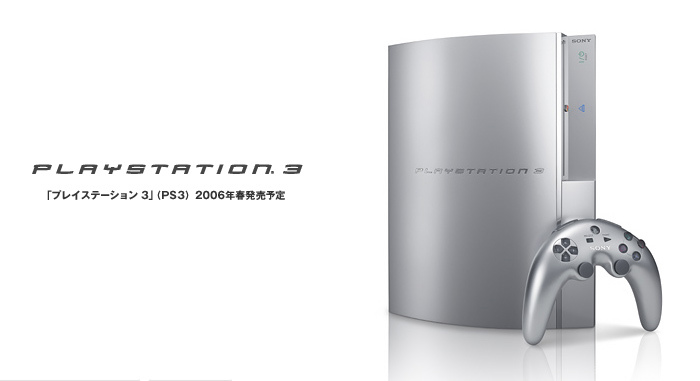 Prototypes of PS3 will also be showcased at the Electronic Entertainment Expo (E3), the world's largest interactive entertainment exhibition held in Los Angeles, from May 18th to 20th. PS3 combines state-of-the-art technologies featuring Cell, a processor jointly developed by IBM, Sony Group and Toshiba Corporation, graphics processor (RSX) co-developed by NVIDIA Corporation and SCEI, and XDR memory developed by Rambus Inc. It also adopts BD-ROM (Blu-ray Disc ROM) with maximum storage capacity of 54 GB (dual layer), enabling delivery of entertainment content in full high-definition (HD) quality, under a secure environment made possible through the most advanced copyright protection technology. To match the accelerating convergence of digital consumer electronics and computer technology, PS3 supports high quality display in resolution of 1080p(*) as standard, which is far superior to 720p/1080i. With an overwhelming computing power of 2 teraflops, entirely new graphical expressions that have never been seen before will become possible. In games, not only will movement of characters and objects be far more refined and realistic, but landscapes and virtual worlds can also be rendered in real- time, thereby elevating the freedom of graphics expression to levels not experienced in the past. Gamers will literally be able to dive into the realistic world seen in large screen movies and experience the excitement in real-time. In 1994, SCEI launched the original PlayStation® (PS), followed by PlayStation®2 (PS2) in 2000 and PlayStation®Portable (PSP®) in 2004, every time introducing the latest advancement in technology and bringing innovation to interactive entertainment software creation. Over 13,000 titles have been developed by now, creating a software market that sells more than 250 million copies annually. 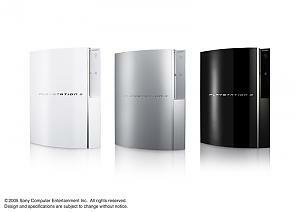 PS3 offers backward compatibility enabling gamers to enjoy these enormous assets from PS and PS2 platforms. PlayStation family of products are sold in more than 120 countries and regions around the world. With cumulative shipments reaching more than 102 million for PS and approximately 89 million for PS2, they are the undisputed leaders and have become the standard platform for home entertainment. After 12 years from the introduction of the original PS and 6 years from the launch of PS2, SCEI brings PS3, the newest platform with the most advanced next generation computer entertainment technology. With the delivery of Cell based development tools that has already begun, development of game titles as well as tools and middleware are in progress. Through collaboration with world's leading tools and middleware companies, SCEI will offer full support to new content creation by providing developers with extensive tools and libraries that will bring out the power of the Cell processor and enable efficient software development. 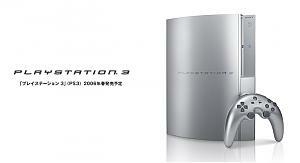 Preparations are under way for launch of PS3 and new generation software in the spring of 2006. "SCEI has continuously brought innovation to the world of computer entertainment, such as real-time 3D computer graphics on PlayStation and the world's first 128 bit processor Emotion Engine (EE) for PlayStation 2. Empowered by the Cell processor with super computer like performance, a new age of PLAYSTATION 3 is about to begin. Together with content creators from all over the world, SCEI will accelerate the arrival of a new era in computer entertainment." Ken Kutaragi, President and CEO, Sony Computer Entertainment Inc..
"With the new generation PlayStation platform, we can create "GUNDAM WORLD" with the quality no one has ever imagined. The philosophy, connecting millions of Cell together, makes reality get closer to the world of SF films. We are delighted to share the vision of Ken, ARCHITECT, Kutaragi." Shin Unozawa, Managing Director, Leader, Game Software Group, President, Video Game Company, BANDAI CO., LTD.
"The PLAYSTATION 3 has us really excited! So much so in fact that we are already working our hardest to get Devil May Cry 4 out for this new platform. New hardware always yields more options for developers to create exciting and fresh gameplay experiences. I believe that the PS3 is one piece of hardware that will test the mettle of our development team and help us to create some of the most amazing games, limited only by our imagination." Keiji Inafune, Managing Executive Officer, Research & Development Division,Capcom Co., Ltd.
"Each generation of PlayStation has made a dramatic improvement in how we create and play videogames. PLAYSTATION 3 will be a breakthrough in how the world experiences entertainment. EA is fully aligned with Sony Computer Entertainment -- we share their vision and applaud their success." "President Kutaragi has thrown down a gauntlet. 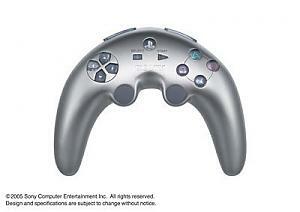 That gauntlet is called the PLAYSTATION 3. We here at Koei have gladly taken up the challenge, and are striving day and night to take full advantage of all the PS3's new possibilities. Our goal is to combine cutting-edge technology with a full range of artistic expression to deliver the ultimate form of entertainment, and please people everywhere." Keiko Erikawa, Chairman & C.E.O., KOEI Co., Ltd.
"With the arrival of the next generation computer entertainment system PLAYSTATION 3, I believe it will be possible for graphic expressions, more beautiful than before, to coexist with more deep and evolved game play which utilize the Cell architecture. I also have high expectations for the evolution by the online features that will be enhanced. We will utilize the features of the new platform and will strive to create contents that will bring new excitement for our users world wide, so please have high hopes for Konami." "Each time SCEI launches a console, the video games business moves to the next level. With PLAYSTATION 3 it looks as if it might be time for interactive entertainment to become, finally, the world's dominant artistic medium." "We at Namco have used and will continue to use the advancements in audio- visual technology to deliver games that are not only appealing to the eyes and ears, but that stir emotions, speak to the heart, and remain in players' minds for years to come. 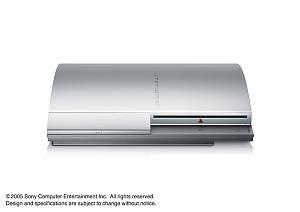 We are confident that the PLAYSTATION 3 is an entertainment system that will enable us to do just that." Shigeru Yokoyama, CT Company President, Namco Ltd.
"Next-generation hardware platforms will enable SEGA to create new game concepts that offer more immersive interactive experiences. SEGA continues to pursue the fusion of creativity and technology by publishing only the best, more innovative content to gamers around the world." "Square Enix is extremely honored to have had the chance to provide you with this technical demonstration of what the Cell processor can bring to the PLAYSTATION 3 and the world of gaming. We are committed to fully backing SCEI's new computer entertainment system and plans to bring the FINAL FANTASY series to the PS3 are just beyond the horizon." Yoichi Wada, President, SQUARE ENIX CO., LTD.
"Ubisoft was one of the first major international developers to have its teams start focusing on next generation consoles. We are looking forward to developing outstanding games on Sony Computer Entertainment Inc.'s new system. 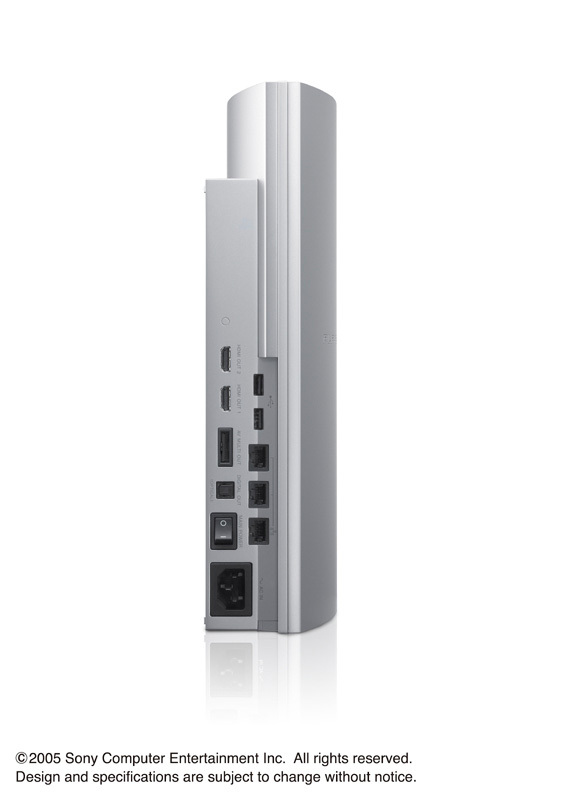 Its powerful features will help take the industry to an even higher level in the very near future." Recognized as the global leader and company responsible for the progression of consumer-based computer entertainment, Sony Computer Entertainment Inc. (SCEI) manufacturers, distributes and markets the PlayStation® game console, the PlayStation®2 computer entertainment system and the PlayStation®Portable (PSP®) handheld entertainment system. PlayStation has revolutionized home entertainment by introducing advanced 3D graphic processing, and PlayStation 2 further enhances the PlayStation legacy as the core of home networked entertainment. PSP is a new portable entertainment system that allows users to enjoy 3D games, with high-quality full-motion video, and high-fidelity stereo audio. SCEI, along with its subsidiary divisions Sony Computer Entertainment America Inc., Sony Computer Entertainment Europe Ltd., and Sony Computer Entertainment Korea Inc. develops, publishes, markets and distributes software, and manages the third party licensing programs for these platforms in the respective markets worldwide. Headquartered in Tokyo, Japan, Sony Computer Entertainment Inc. is an independent business unit of the Sony Group. * "Dolby" is a trademark of Dolby Laboratories. of Sony Computer Entertainment Inc.
PS3 offers backward compatibility enabling gamers to enjoy these enormous assets from PS and PS2 platforms. Something that Microsoft seems to have missed again - PS3 owners will have the ability to use the library of games that have built up over the last 12 years. Couple that with the fact that Sony have said that they will continue developing games for the PS2, and it might well be just what Sony needs to continue their steamroller impression. Even Nintendo have engineered backwards compatibility into their Revolution! Last edited by Áedán; 17th May, 2005 at 03:59 AM. xbox360 is rumoured to have this function as well. dunno if it's true or not, but i'll check into it. I know there were rumours, but last I heard, Microsoft hadn't said the Xbox 360 explicitly had backward compatibility. Given Microsoft produces VirtualPC, it would be possible to create a version of VirtualPC to provide that backward compatibility. People started really modding with the X-box (there were mod's before that, but they were really limited in functionality), because it is so simmilar to a PC, heck, it pretty much is a highly specialized PC. I think the modding community's adoption and ravaging of the PSP is indicative of what may happen for the PS3, if the price isn't too steep. Even if it is high that kind of proccessing power for under $500 (I sure hope) will, I'm betting, be irresistable to modder's, even if the configuration is less than Ideal for anything other than gaming. Anybody have an idea of where the modding community may go with the introduction of the PS3 and the X-box 2? The big fat blank there is number of pixel and vertex shader pipelines. btw it was very much the PS1 that started modding. My old PS1 has a bios mod that lets it play VCDs, and international games in it which is an operating system in its own right. I wonder also, given there is 1 core spare that isnt being used in the chip, why not mod it to put that extra core in use. I suspect that the 'spare' core isn't actually spare. Why go to the expense of putting a core on a chip, and increase the cost of the system? It does leave me wondering if it's used as some form of I/O processor or is reserved for some future expansion? The big fat blank there is number of pixel and vertex shader pipelines. Why? The PS2 didn't use a vertex shader at all. Instead, it used the two vector units running at 300MHz. That's a very different architecture to the pixel and vertex shader architecture that the PC is using! By all accounts, the VU architecture is more flexable than that of the pixel/vertex shader architecture. xbox360 is rumoured to have this function as well. Looks like it does, but the games that will be supported look like they might be a bit more limited. MGS and big hit titles are certain, it's other games that may or may not work depending on the difficulties involved with emulating the game. The hard drive will be needed to activate the feature, and pricing for that and the console itself are as of yet unknown. Unreal Engine 3 has quickly established itself as the engine of choice for Xbox 360 developers, but Microsoft will have been left a little worried after its most impressive showing yet at the Sony pre-E3 conference on Monday here in LA. Lets see if any of this fancy new technology makes it way down to the PC. These machines look to be significantly more powerful that most PCs are now! Aedan, I get what you mean, but it is definately a pixel shader / vertex shader (non-unified shader) based GPU, as Nvidia have already mentioned that they are going in the opposite direction with the PS3, and dont think ATI's unified shader works, and that they were sticking with dedicated units for their console chip. Eye Candy. The design seriously owns the Xbox 360! Last edited by danrok; 17th May, 2005 at 12:26 PM. Australian Aboriginally designed controller. Nice little touch there. Wonder if it comes back though? very comfortable looking controller, much friendlier than the Xbox's and light years ahead of the original xbox controller. Ergonomics, sleek design, light weight, and small. Good stuff. Curved? They could at least mould a cup holder into it if they won't make it flat. I wasn't aware there was ANYTHING for the PS1 that you couldn't play on the PS2?! Certainly, everything that I own works just fine. What is the problem with MGS: Special Missions?